AUTHENTIC Made using traditional Moroccan ways. CRUELTY FREE All our products are cruelty free, not tested on animals. The soap cleanses, exfoliates, moisturizes and nourishes your skin. Suitable for men and women and all skin types. As part of its spa-like treatments, the use of Black Eucalyptus Soap can also help to relive cold symptoms. The Eucalyptus can help to clear nasal passage and sinuses helping you to breathe easier. Start your morning with an invigorating and refreshing eucalyptus infusion, instead of ordinary shower gels that contain chemical additives! If you suffer with clogged pores, dry skin, oily skin, eczema or psoriasis or just like to maintain a healthy skin using the soap will make a huge difference after your first use. The soap has a butter-like texture which makes it different to regular soap. However, the natural ingredients mean that it is ideal for all skin types. Unlike other soaps which have added chemicals, Moroccan Black Eucalyptus Soap is 100% natural, this means it is gentle on skin making it ideal for everyone. This natural soap is an ideal exfoliator with many healing properties. It works by removing dead skin cells, increasing blood flow and helping to give your skin a new lease of life. The exfoliation process helps to balance oily skin, opens up clogged pores, treats dry and flaky skin, however can be used as an everyday shower gel for maintaining a healthy and radiant skin. A superb alternative to regular shower gel and soap. Using a Kessa or sponge, the soap can be massaged over the body. It will help to tighten skin, cleanse and the eucalyptus scent will help to clear the mind. Best used with a Kessa Exfoliating Glove. To use it as a facemask, scoop some gel with your fingers, make sure your face and hands are completely dry. 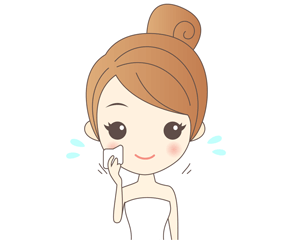 Massage the gel all around your face, careful around the eyes. Wait about 5 minutes, less if you have very sensitive or dry skin. Then, using a Kessa or any scrubbing glove / sponge very gently in circular motions scrub your face and wash off with warm water then moisturise. When in shower or bath, allow some time for the warmth to open up your pores before using the gel. Scoop some gel and carefully rub onto your skin. Once your body is covered it is best to wait a few more minutes and let the eucalyptus soak in. Then using a Kessa Exfoliating Glove start to massaging your skin gently in circular motion. Layers of dead skin cells will start to roll off your skin.